What does a greenhouse and a pharmacy have in common? According to a new PBS documentary, they both house tools to heal our bodies. Available to stream now, the PBS WLVT film “Food As Medicine” focuses on how food can be used to treat diseases, improve health, and increase quality of life. The film features a discussion with Dr. Scott Stoll, a board-certified physiatrist and founder of the Plantrician Project. Dr. Stoll describes how nutrients in produce may reverse the course of diseases like rheumatoid arthritis, heart disease, and even cancer. A plant-based diet high in anti-inflammatory agents such as dark leafy greens, turmeric, berries, quinoa, and other whole foods is central to Dr. Stoll’s message. The film also includes a cooking demonstration by chef Erik Oberholtzer, co-founder of Tender Greens restaurants. Oberholtzer uses the vegetables highlighted by Dr. Stoll to create nutritious, 30-minute meals that can be made by anyone. Crucial to reaping the health benefits of produce, the film emphasizes, is the connection between soil health and nutritious food. “Food As Medicine” also delves into how regenerative agricultural practices support the nutritional value of produce. Rodale Institute Executive Director Jeff Moyer explains how the nutrients and minerals that we consume through plants come from the soil. He stresses that consumers have the power to build the kind of food system they want to see. 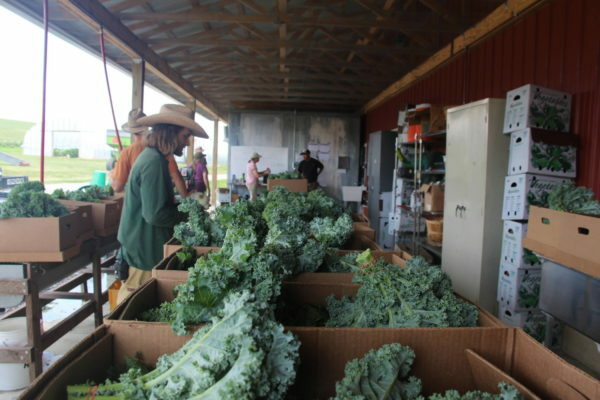 Features include a demonstration on organic soil health, as well as an introduction to the ways in which organic produce can be introduced into under-served communities. “When you make decisions about what you’re putting on your plate, those decisions have a multitude of implications,” Dr. Stoll emphasizes. “Food As Medicine” drives home that when we take care of our soil, we produce food that is rich in nutrients that can not only help protect the earth, but can protect our bodies as well. For more information about the connections between agriculture and health care, visit the Regenerative Health Institute. Good to see Rodale Institute recognizes the important role animals play in regenerative agriculture.